This journal will publish authoritative papers on theoretical and experimental researches and advanced applications embodying the results of extensive field, plant, laboratory or theoretical investigation or new interpretations of existing problems. It may also feature - when appropriate - research notes, technical notes, state-of-the-art survey type papers, short communications, letters to the editor, meeting schedules and conference announcements. The language of publication is English. Each paper should contain an abstract in English. The abstracts should not exceed 250 words. All manuscripts will be peer-reviewed by qualified reviewers. The material should be presented clearly and concisely. Full papers must be based on completed original works of significant novelty. The regular paper has 6-10 pages (including figures and tables). However, lengthy contributions may be considered just for the exceeded 10 pages charges delayed due to limited space. This means for the 1st 10 pages there is no page charges. For the additional to 10 journal pages, there will be page charges. It is advised to keep papers limited to 5500 words. ♦ Research notes are considered as short items that include theoretical or experimental results of immediate current interest. ♦ Technical notes are also considered as short items of enough technical acceptability with more rapid publication appeal . The length of a research or technical note is recommended not to exceed 2500 words or 4-6 journal pages (including figures and tables). ♦ Review papers are only considered from highly qualified well-known authors generally assigned by the editorial board or editor-in-chief. Author of review papers should have high qualifications with distinct developed research area; an outstanding scholar with an extensive publications. ♦ Short communications and letters to the editor should contain a text of about 1000 words and whatever figures and tables that may be required to support the text. They include discussion of full papers and short items and should contribute to the original article by providing confirmation or additional interpretation. Discussion of papers will be referred to author(s) for reply and will concurrently be published with reply of author(s). Authors are requested to sign a Copyright Transfer Agreement upon acceptance of their manuscript, before the manuscript can be published. The Copyright Transfer Agreement can be downloaded here (PDF Version). Can I submit the extented copy of a paper which was published in conference proceeding before? Submissions are accepted for review with the understanding that the same work has been neither submitted to nor published in another publication. 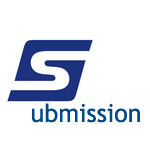 Concurrent submission to other publications will result in immediate rejection of the submission. For further guidance please contact e-mail:	info@ijamp.org. 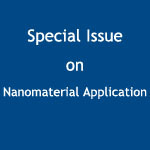 First Round Paper Submission Deadline: Mar. 20, 2017.